This is one of James Branch Cabell’s later books, and a short one at that, running at nearly half the word count of his normal novel. The first half of it is as ironic as his best work in the “Biography of the Life of Manuel,” neatly revisiting a number of his main themes such as the concept of the true love that cannot be recaptured (known as “domnei” or woman-worship), that one’s actions matter not so much as how one’s neighbors view those actions, and honoring one’s word. The second half skewers the first–returning the main character to that lost love, making those actions have ramifications (at least to some extent), and showing that one’s promises can always contain loopholes. Cabell’s work always has several things going on: although you can read the surface of the novel and enjoy it, if you know what he’s satirizing it is much more rewarding. 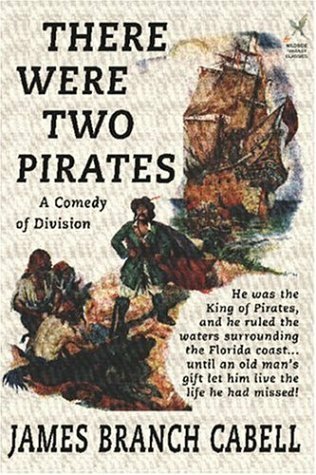 There Were Two Pirates is a mature reflection on growing older and trying to reconcile with the kinds of dreams and goals a person makes when he or she is young. Cabell was writing from personal experience, as one who had seen his star rise and then fall in the short space of 20 years. Like his later books–mainly autobiographical memoirs–this book reflects what Cabell had finally grown to understand: (to be anachronistic) that his fifteen minutes of fame were over. In its place, Cabell returned (not that I’m sure he had ever completely left it) to what he did best: write for himself.